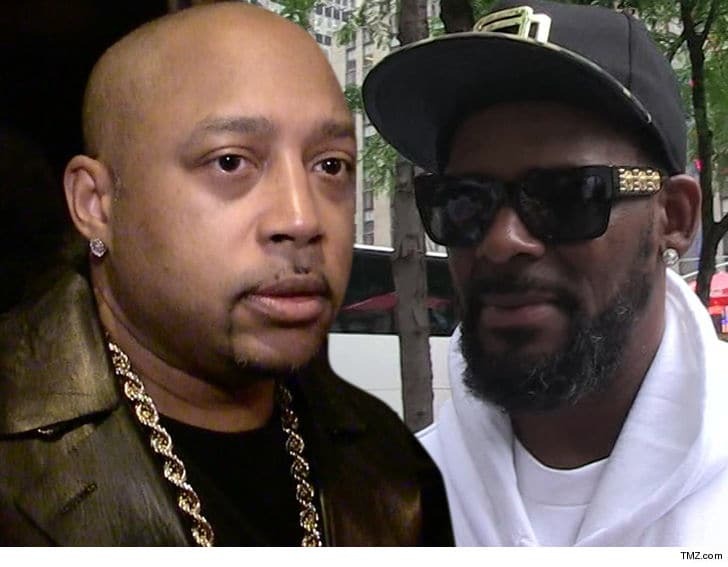 Daymond John is unapologetic About his tweet to R Kelly. He Explains but Does not Apologize. #isaidwhatisaid - T.V.S.T. Damon has established himself as a smooth, calculating character. He’s laid back and cool, but also generally a good guy. 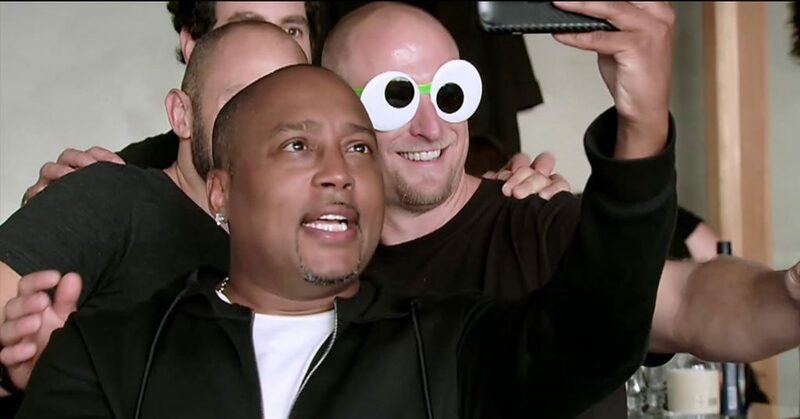 He fits in when he needs to but also keeps it real when necessary; in fact we kind of appreciate him representing us on Shark Tank. He’s kind of the cool, rich Uncle that we wish we had; that’s why it’s surprising when he loses his cool! 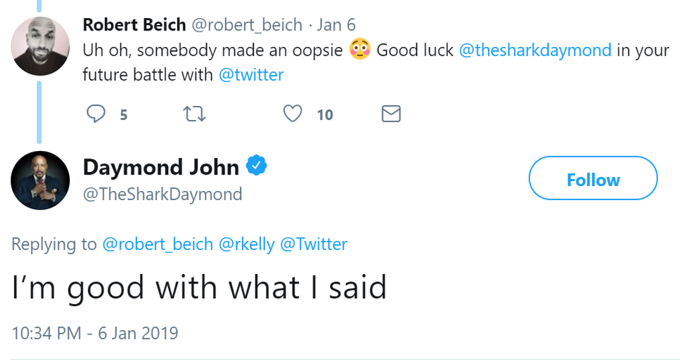 Like Robert Beich on twitter I thought Damon would be in for a twitter bashing for the last part of his comment, but Damon was prepared. And to further support his comments, when TMZ asked him to clarify he did not apologize. Instead he doubled down on his comments. He reiterated and then explains. This is a good thing. When people see how outraged someone who rarely gets outraged is, it will drive awareness and people will seek to understand. This is how change happens. Kudos for not only speaking out Damon, but doing so strongly and without any f*cks to give. Light Work: UFC Fighter Polyana Viana Put Hands on A Would Be Robber and Then Choked Him Out. Kevin Hart Apologizes Again For Hurting The LGBTQ Community, And This Time It's Really An Apology!